The profession of science journalism is in serious peril. Pick up any typical metropolitan newspaper and spend a few moments to locate a science story. Not easy right? Now I’m not talking about an article about cloning sheep, swine flu, or global warming which are reputable areas of science, but only represent a small slice of what’s happening in science today. Most newspapers dumb down their science coverage by including stories of this kind that they can easily get from the wire services. The articles tend to be small snippets, and certainly not bylined pieces. Most newspapers don’t have an official science news section anymore, let along many science journalists on staff. The Boston Globe cut their weekly science coverage and health section in March. CNN’s seven person science unit was closed last year. Given this disturbing trend, I’ve been very encouraged that my own city’s newspaper, The Los Angeles Times, continues to publish top-rate science articles in the paper’s Science File section. For instance, the recent Saturday, June 13, 2009 issue contained two excellent articles. A front page, above the fold article appeared entitled “The moon as a crash pad” that provided an in-depth review of today’s launch of the Lunar Reconnaissance Orbiter, a mission designed to scout for potential locations for humankind’s first off-world colony on the moon. The other article was “In Pasadena, a discovery for the ages” which was a Q&A with a noted local scientist, Wendy Freedman, director of the Carnegie Observatories in Pasadena, who along with two colleagues were named as recipients of the Gruber Prize, one of the world’s top awards in the field of cosmology. Seeing this article in the mainstream press excited me because it pertains to a field of interest of mine, cosmology. The Freeman team’s work involved the determination of the Hubble Constant that describes the rate of expansion of the universe, and helped place the age of the universe at 13.7 billion years. This is important stuff that the public should be exposed to. The coverage in the L.A. Times is due to a staff journalist, John Johnson, who singlehandedly writes excellent science news for the paper. I’ve complimented Mr. Johnson on his work many times and I encourage all you Science Lifestylers (SLSers) to visit www.latimes.com to sample some of his articles. It is fortunate that The Times still employees a science journalist of this caliber, although I’m always holding my breath that deeper budget cuts may mean the end of all science coverage in the paper. Good science journalism can positively affect people’s lives, especially the life of a physics groupie. One of Johnson’s articles actually played a significant role in my science metamorphosis. 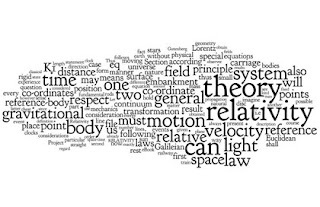 On June 10, 2006 he wrote a “Column One” article entitled “Gravity’s Field of Dreams” about the LIGO project involving gravitational wave research. At the time, I was loosely looking for a project for independent research and the article encouraged me to look closer at LIGO. As it turns out, I decided to pay a visit to the LIGO observatory in Hanford, WA and the rest is history in terms of my academic focus. I have Johnson to thank for this introduction. I realize that the way the population acquires news in general is rapidly changing. More and more people no longer read or subscribe to print newspapers, favoring online news sources. In many respects, there has never been more science news available with all the web-based resources out there (the Science Lifestyle Blog is a perfect example). The problem is that the resources are undirected. The average person may not know to search for news about the Higgs Boson or LHC. This is where professional journalism comes into play to produce articles that direct, inform, and educate the public about important news items. There is so much bulk science news now, important stories can get lost in the process. Good science journalists provide a professional service of choosing the good stories and present them in such a way for the masses to understand the concepts involved. To bolster what’s left of science journalism, I suggest that you reach out to your own local newspaper’s science journalists and if you judge them to be doing a good job, issue thanks and appreciation. They love to receive this feedback as it can become fuel for their next performance review, or budget meeting when the science section becomes threatened. Please report back here with links and references to good science journalism in your own local papers. I’m sure we’d all love to hear from you.